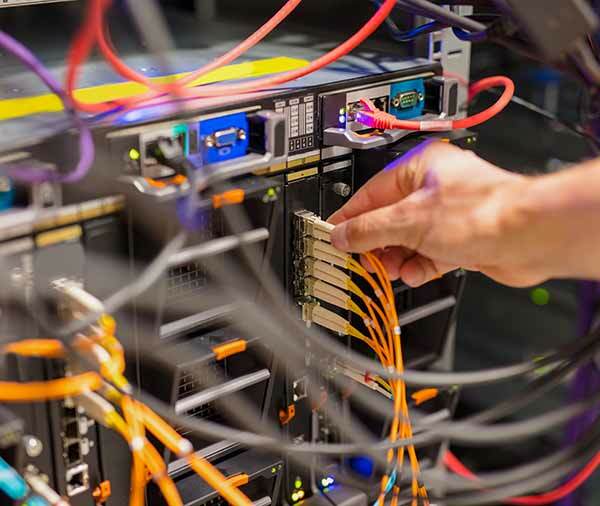 Fixtel provides data cabling installation and data cabling network solutions across Melbourne. Our service is for both home and business. Plus government institutions like schools, council buildings, government service centres and offices. Fixtel partners with commercial and residential builders to install data cabling infrastructure in new builds and renovations. We are the leading data cabling installer in Melbourne and offer pricing plans to suit all budgets. Access to communication technology is vital in today’s modern world. Make sure you get only the best equipment and trusted installation for your home or business – get Fixtel. Business need reliable and high speed communication technology to perform at their best. Whether your business is upgrading or relocating offices, our team at Fixtel can provide the best data and voice cabling installation in Melbourne. With more than 25 years in the industry we know a trick or two. Plus we have access to the best hardware and equipment in the world. At Fixtel we offer businesses all their internet and communication technology needs. We are leaders in our field and only offer high quality installation and services. Fixtel understands the importance of your investment in this technology and work to the highest standard. All of our technicians are highly skilled and undertake continuous training on new and emerging data technology. Call us at Fixtel for a free quote on any data cabling needs; from complete installation to fixing a broken cable. 1300 349 835 or contact us online. Homes can be made fully automated through data cabling and automate everything from lights, tv’s, alarm systems and even your shower. At the push of a button on your smartphone you can pop the kettle on for your morning coffee from bed or connect to your home CCTV to check on home security from your workplace. The growth of this technology is fast and if you want to access it you will need data and voice cable installation. Our Fixtel technicians can advise you on the best system for your home and install your system fast with no fuss. Speak to us today and we will have our team local to your area start on your data and voice installation. 1300 349 835 or contact us online to speak to a Fixtel Customer Solutions Adviser today. Whether you are located in Melbourne metro, Melbourne North, South Melbourne, West Melbourne or East Melbourne or South Eastern Suburbs, Fixtel has specialist data installation teams located across Melbourne in both city and regional areas. We provide free quotes and can advise you on the best communication data system for you home or office.